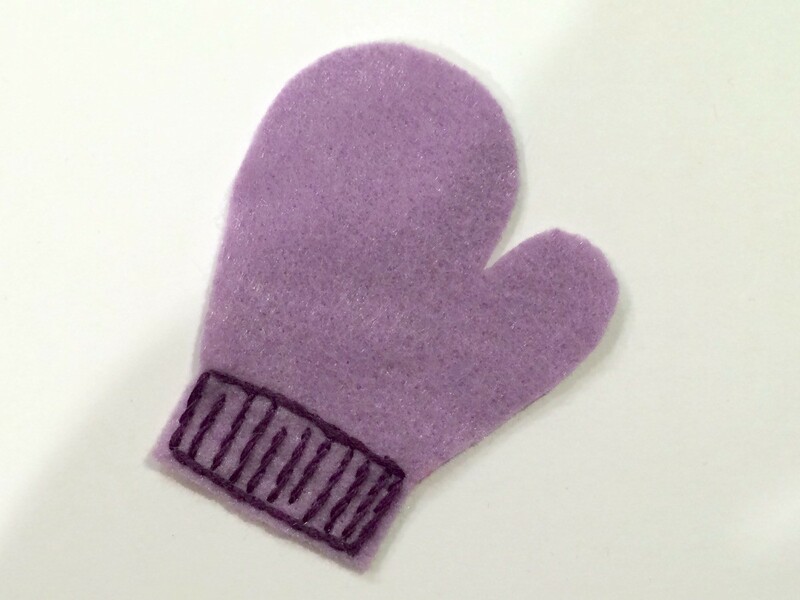 This cute little mitten is easy to make and can be any color you want. 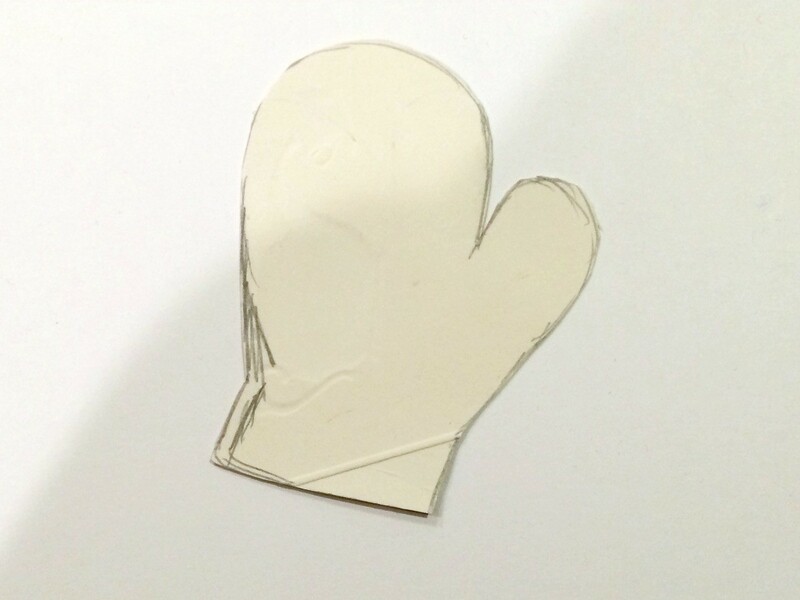 Draw a mitten shape onto a piece of cardboard. Use rolls of tape to hold the template to the felt. Cut out shape. Then use coordinating embroidery floss to stitch ribbing onto the cuff of the mitten.